The new Cambridge Mosque is dedicated to the spiritual and social welfare of the city’s estimated six thousand Muslims – up to 1000 people can congregate inside. The overall design for the site embodies the concept of a calm ‘oasis’. Tim Winter, chairman of the Cambridge Mosque Trust, notes that ‘Islamic civilization has been based on the rejection of waste as an under-estimation of God’s blessing’. The Mosque will ‘emphasise the role of faith in promoting responsible management of the earth’s resources’. 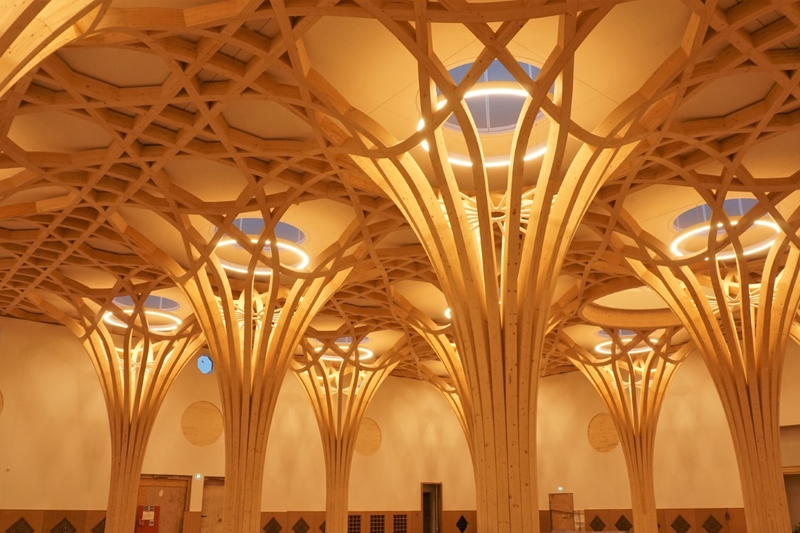 This is ‘Europe’s first eco-mosque’: with an EPC of A, the new Cambridge Mosque is very close to being a zero-carbon building, while also having many beautiful and practical features. It’s a landmark building for the Muslim community, the city of Cambridge and its residents. NOTE: The tour of the mosque will last about an hour.